Literally translated, Hanashima means Flower Island. A strange name for a ramen-ya, but thank goodness names don’t make the ramen. 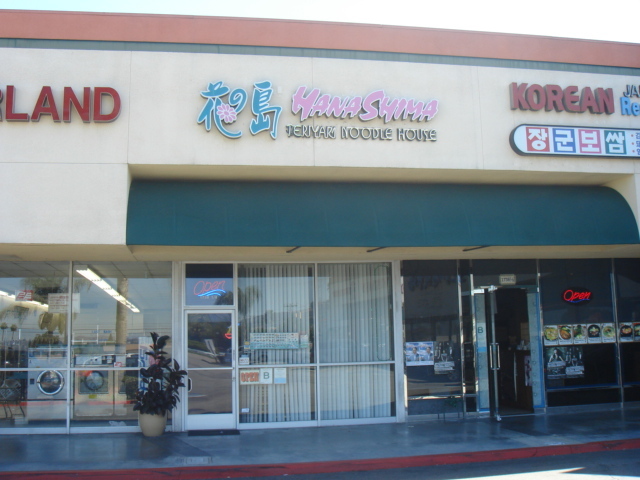 Sandwiched between a Korean restaurant and a laundromat, could Hanashima be that ramen rose which grows from concrete? Early signs say no, but I’ve been wrong about first impressions before. 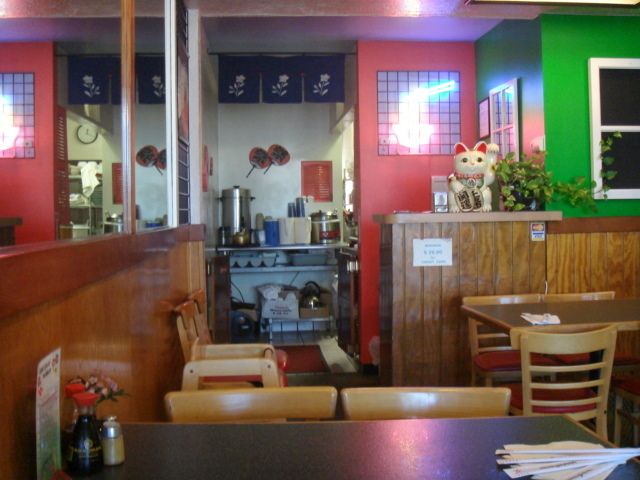 Plus, the Chinese waiter/manager speaks fluent Japanese and claims to have been born in Japan. Shoyu-ramen: I honestly expected worse. 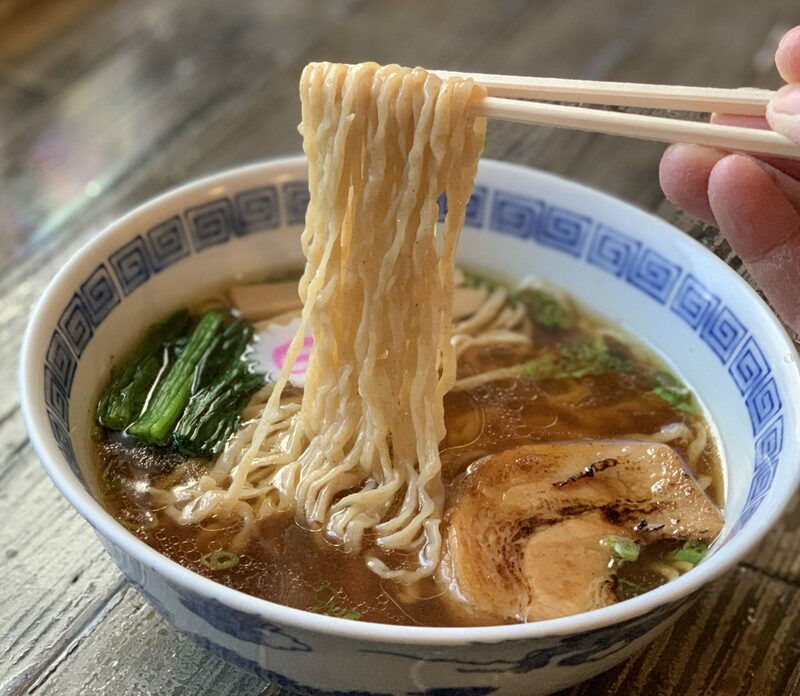 This shoyu-ramen wasn’t quite bland, but it’s definitely on the lighter side as far as taste goes. The soup also had a minor sweetness to it that made it stand out. 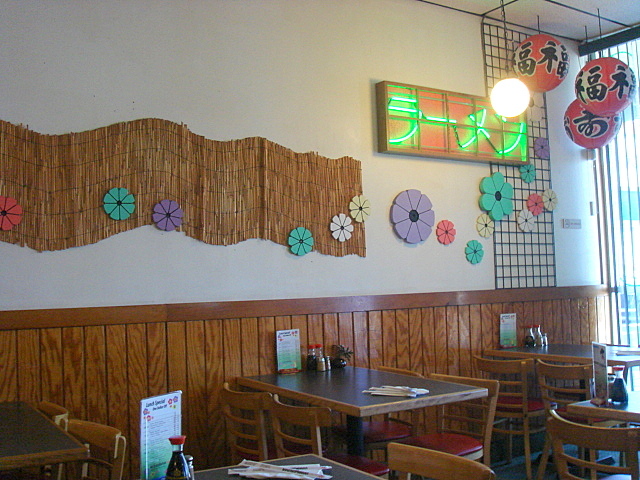 The crinkled noodles were much like the ones you’ll find at most ramen-ya’s. Not original but they still tasted good. 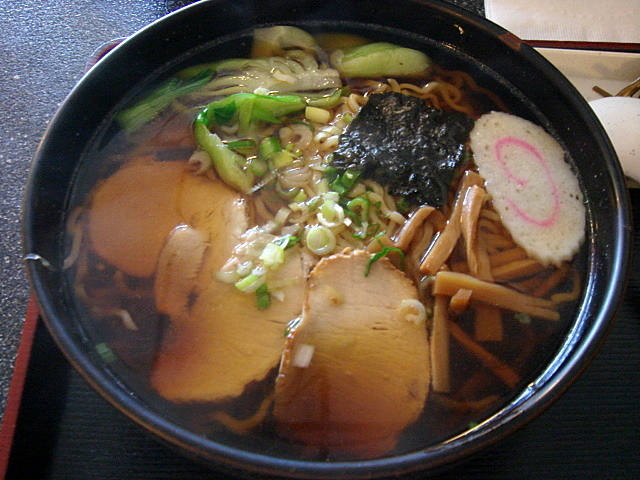 The toppings (chashu, baby bok choy, menma, negi, naruto, and nori) all tasted very normal and unimpressive. 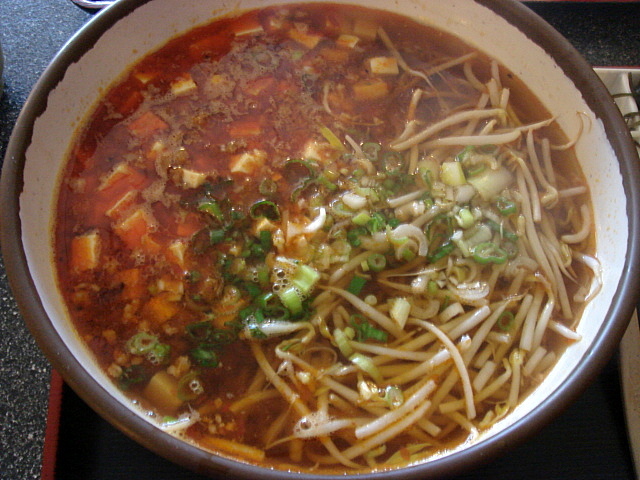 Mabo-ramen: This mabo-ramen was created by injecting the shoyu-ramen with anthrocytes. I think I’ve found the world’s first bionic ramen! Ten times better than the shoyu, this spicy specimen took me through a full spectrum of emotions. I highly recommend it if you’re in the mood for mabo. The only negative for me was the size of the tofu. Bigger chunks would have been better. 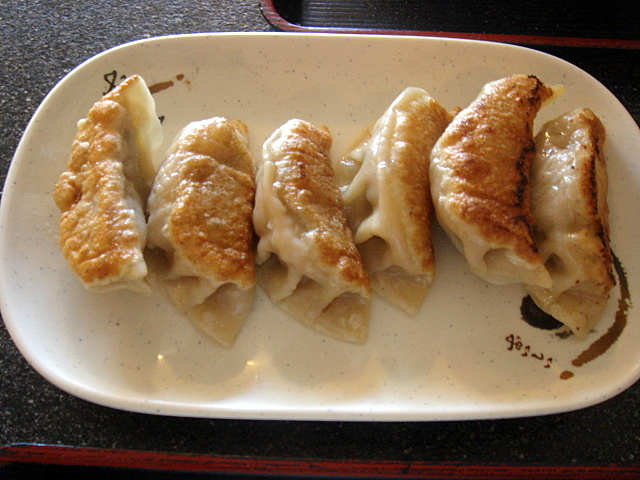 Gyoza: A little too much meat, but otherwise delicious. Plenty of garlic, but not too overwhelming. A good companion to the ramen.